Ballerina Jennie Creer-King is a former soloist and principal dancer; she is also a teacher and choreographer. In July 2014 she became the principal instructor of the Ballet West Academy Satellite School at Thanksgiving Point, sponsored by the Barbara Barrington Jones Family Foundation. 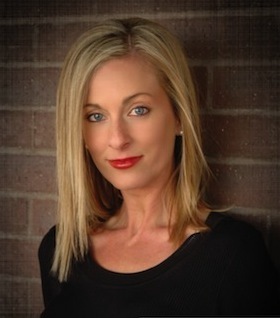 She is the owner of Classical Ballet Academy and the founder and artistic director of Provo Civic Ballet. In 2012 the pre-professional company performed The Nutcracker at the Covey Center for the Arts. Her original ballet Hansel and Gretel premiered there in 2008. From 1999 to 2004 she was assistant professor of dance and director of Theatre Ballet at Brigham Young University. She was a dancer with Oregon Ballet Theatre from 1994 to 1997 and with Ballet West from 1991 to 1994. She earned her master of fine arts in classical ballet performance and choreography and ballet pedagogy from the University of Utah. She also earned her BFA in classical ballet from the University of Utah. Creer-King has received various awards for teaching and choreography, including the Presidential Scholars Teacher Recognition Award in 2007 and Utah's Best of State for Best Youth Dance group (2010) and Choreography (2007 and 2008). She was crowned Mrs. Utah United States for 2005. Enriching the lives of children through the fine arts was her service platform. During her reign, she took a 30-minute interactive ballet story, Goldilocks and the Three Bears, to elementary schools in Utah Valley. Creer-King is a native of Spanish Fork, Utah, where she lives with her husband and children. She is a member of The Church of Jesus Christ of Latter-day Saints. This page was last edited on 25 January 2016, at 13:15.